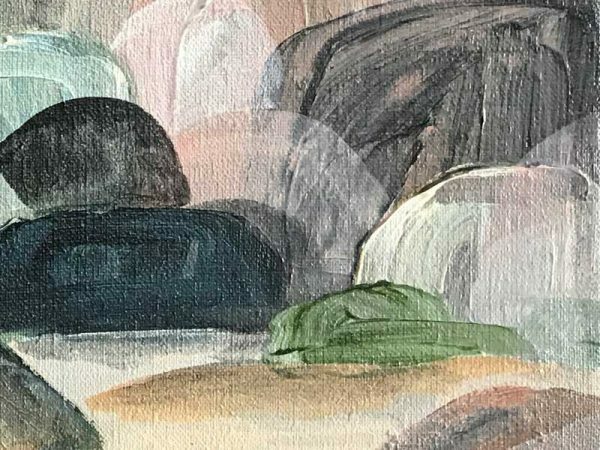 Dusk, Shadows, on Murramarang - Curatorial+Co. 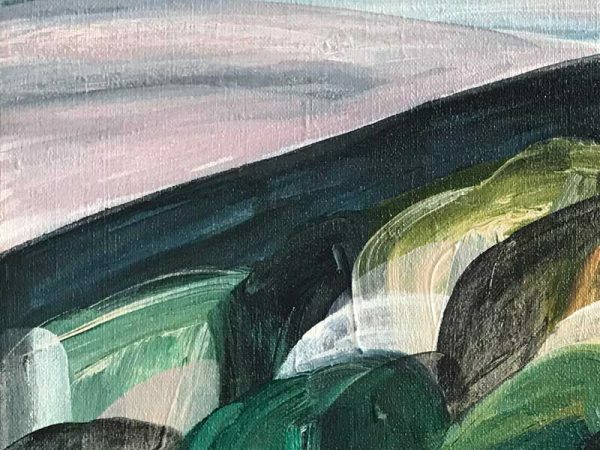 Through her recent series of work titled 'Memory, Time, Space', Ingrid Daniell continues to explore her love of landscape, the environment and the link between the magic of earth, the mystery of our existence and the time when we had little impact on the earth and its atmosphere. 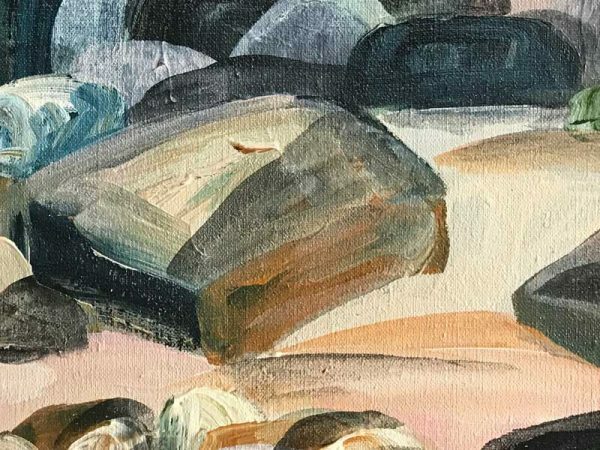 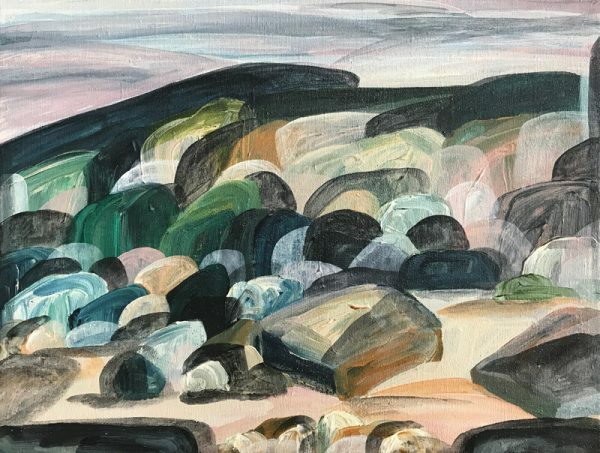 Using places that have personal connection as her muse, Ingrid paints stylised and abstract forms, and her symbolic paint gestures, colour and mix of textures create magical, emotional and mnemonic landscapes. Building layers as she paints to create depth and dimension, Ingrid highlights the form of the landscape; the shadows and the light, the crumbling cliffs and shifting flora shaped by weather and time.